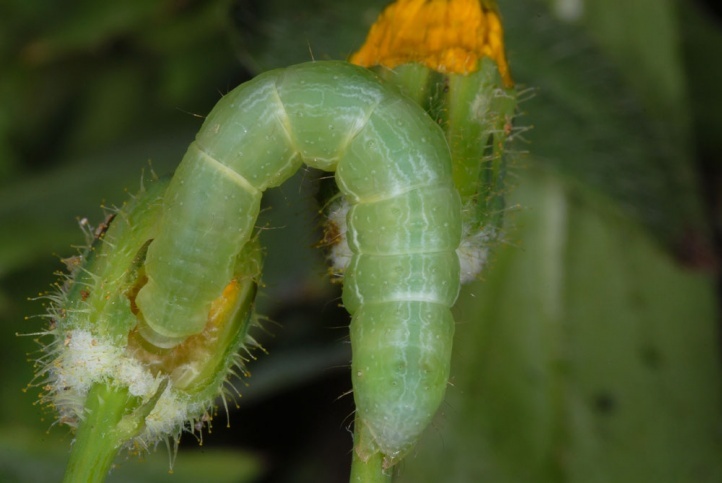 The caterpillar lives polyphagous on mostly herbaceous plants such as Asteraceae or Fabaceae. 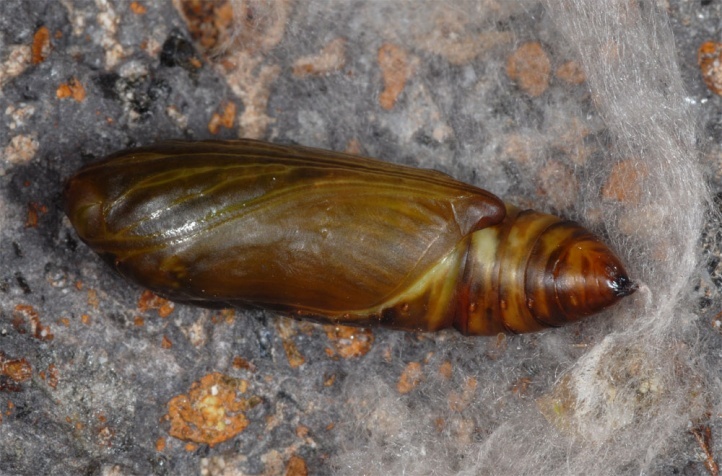 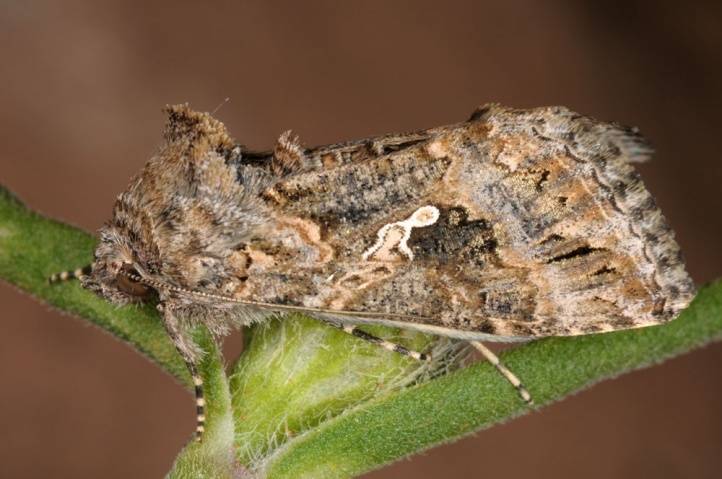 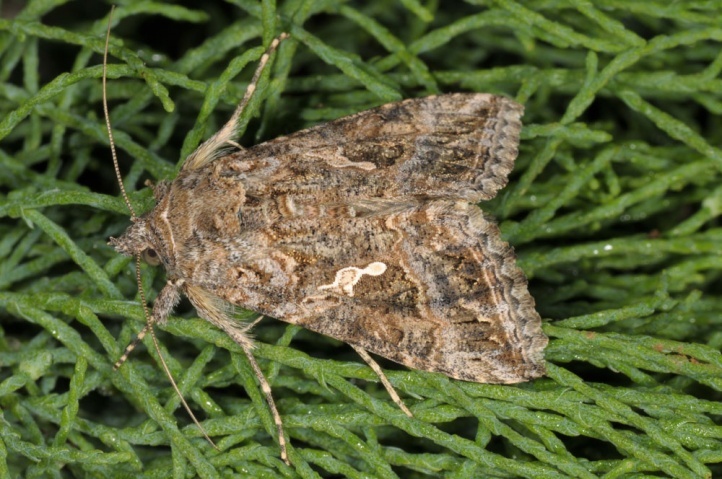 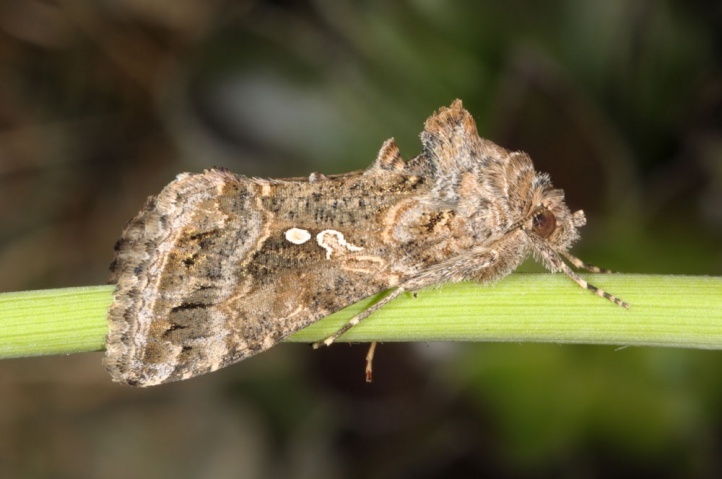 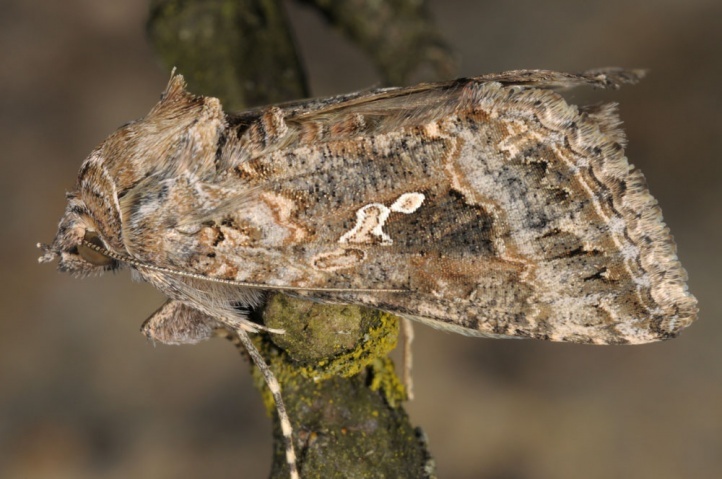 They are occasionally reported to be an agricultural pest species, but this should be quite rare. 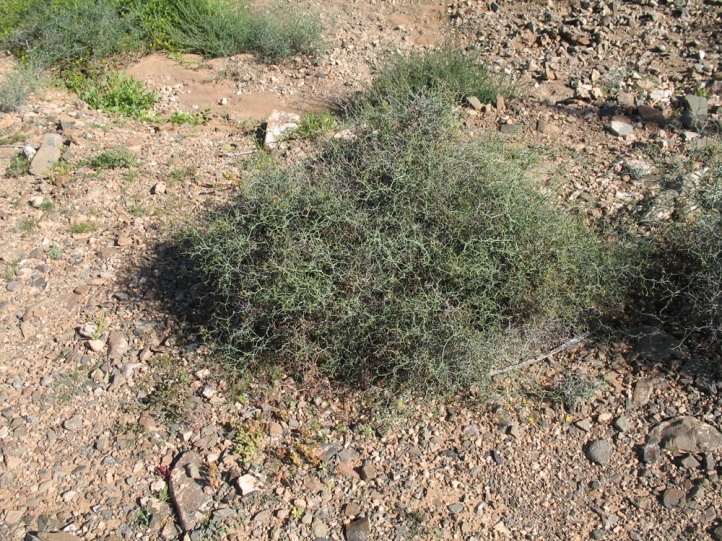 In Fuerteventura, the Asteraceae Launaea arborescens, a thorny shrub of arid and semi-arid areas, proved as the main host plant in February 2011. 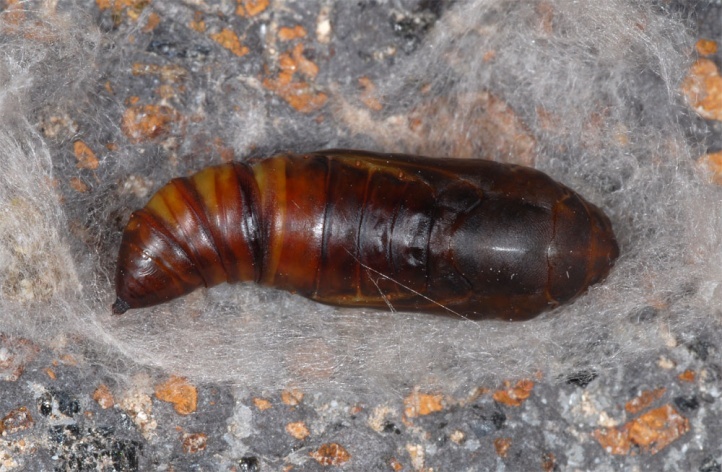 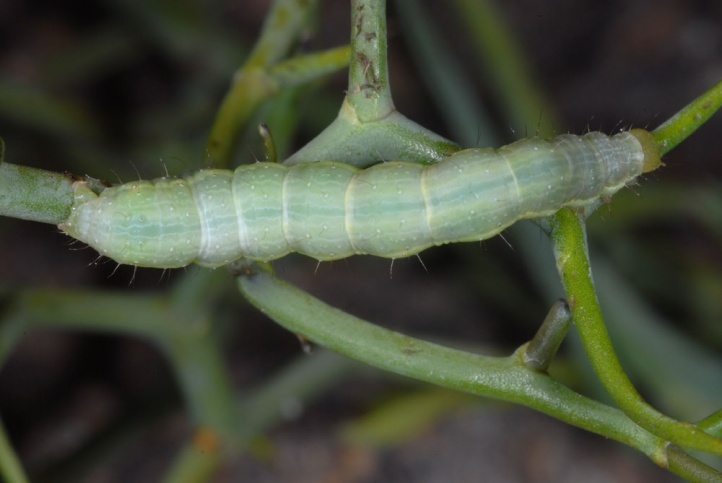 I observed more than 50 larvae on Launaea, usually only one or two per plant. 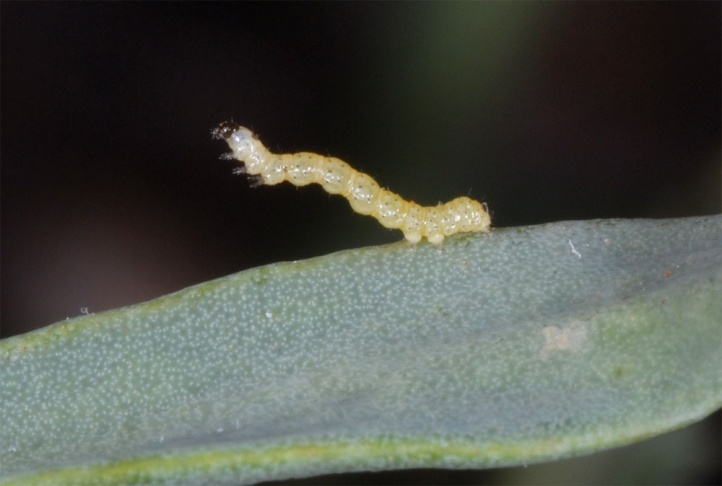 Besides I recorded larvae on Sonchus (also Asteraceae) in Palma de Rio Vegas. 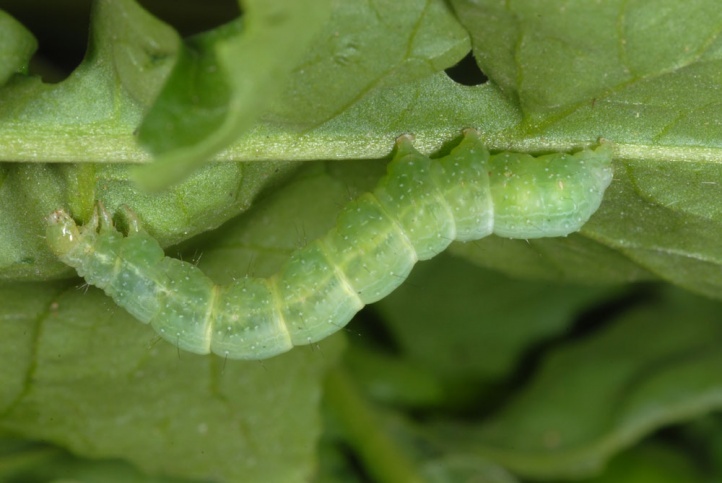 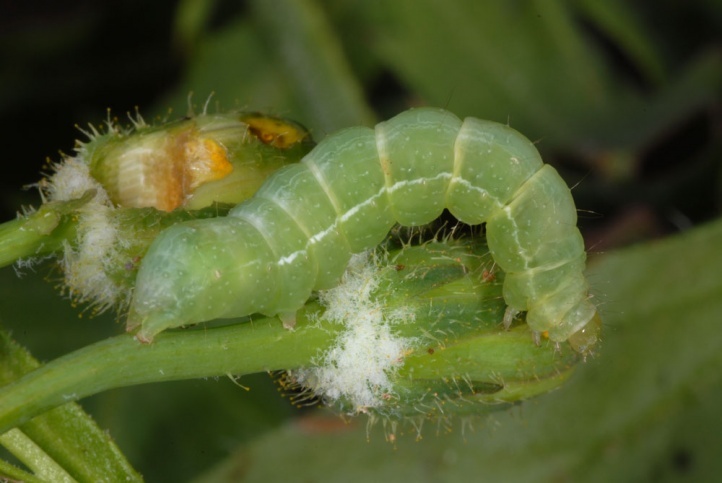 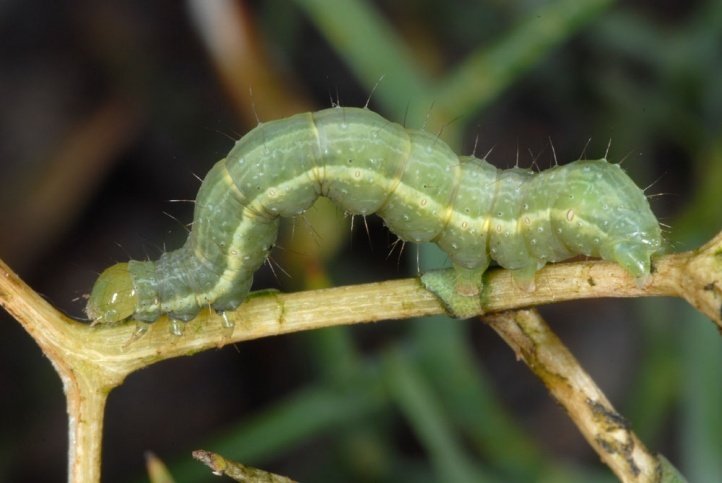 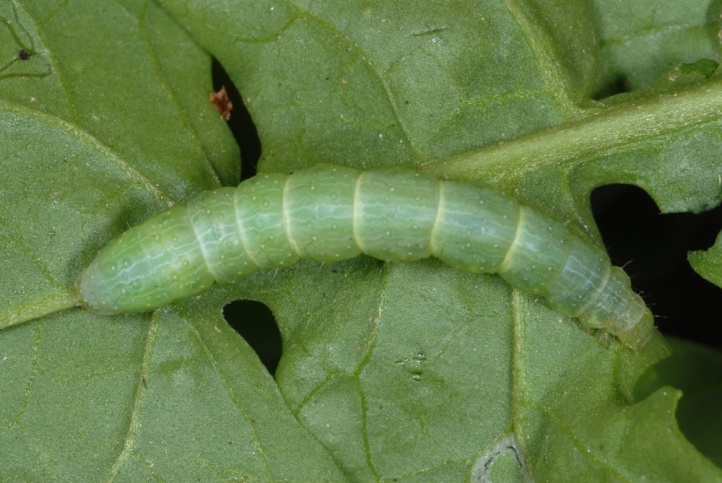 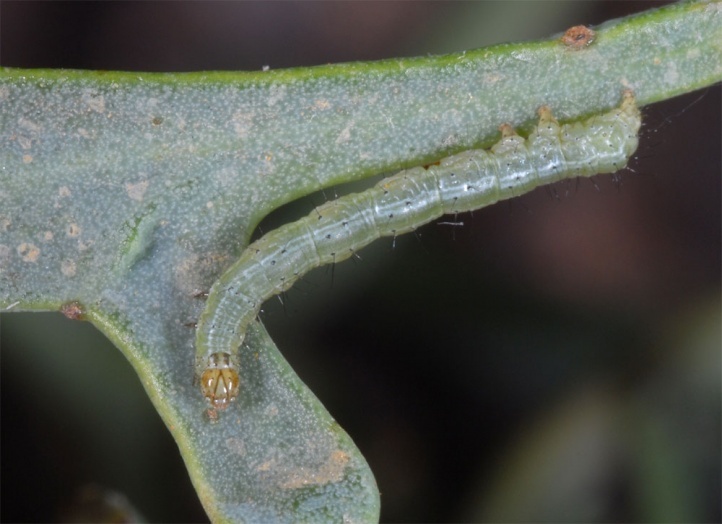 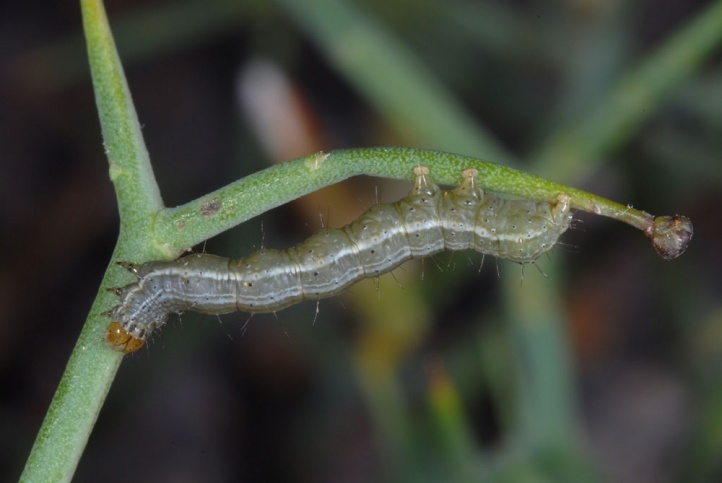 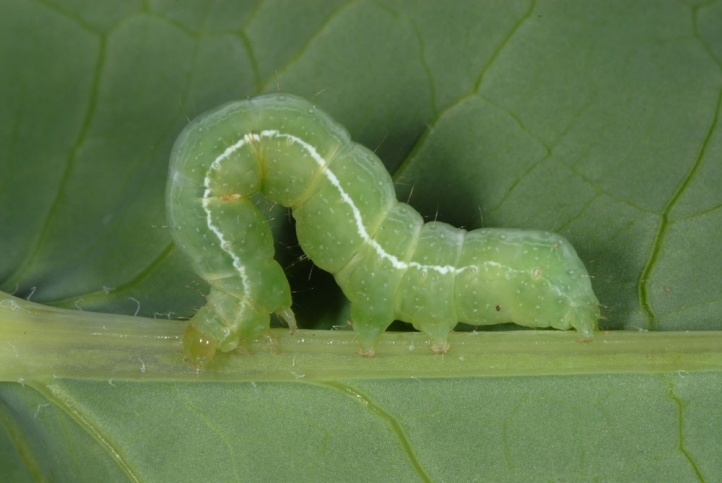 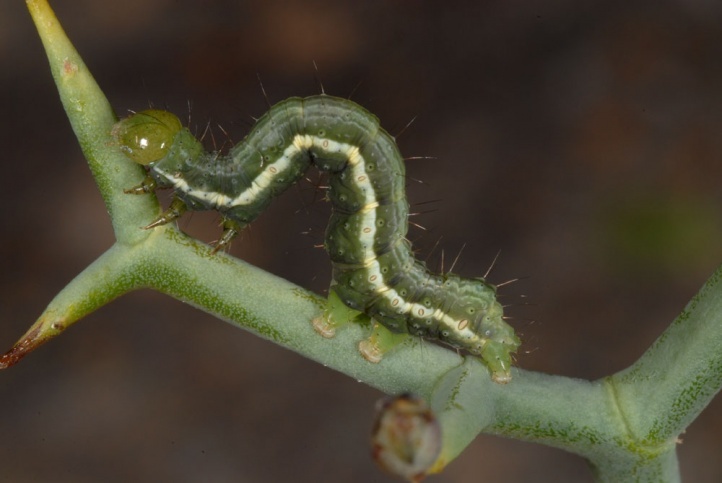 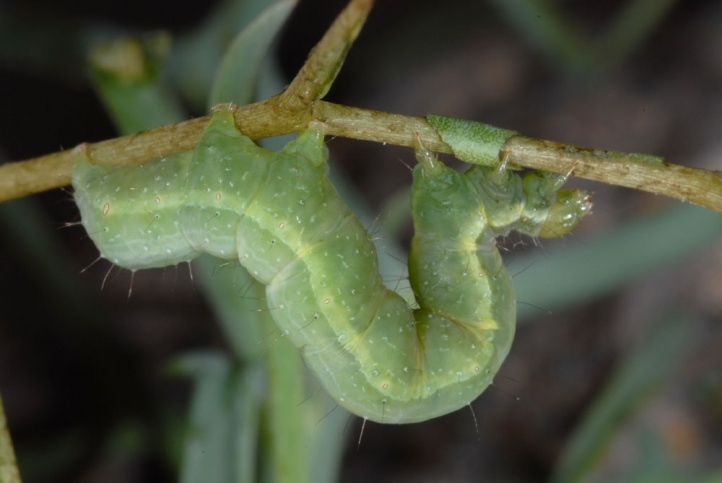 In La Gomera, I found caterpillars in February 2013 on Geranium, Sonchus and a Brassicaceae (Sisymbrium erysimoides). 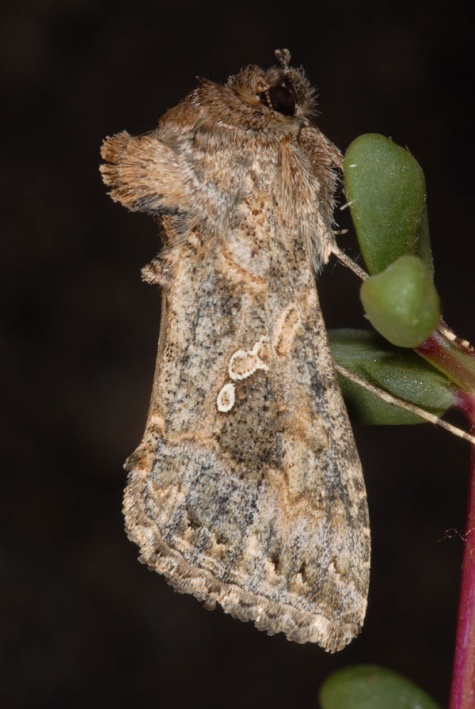 Trichoplusia ni colonizes dry warm habitats of all kinds. 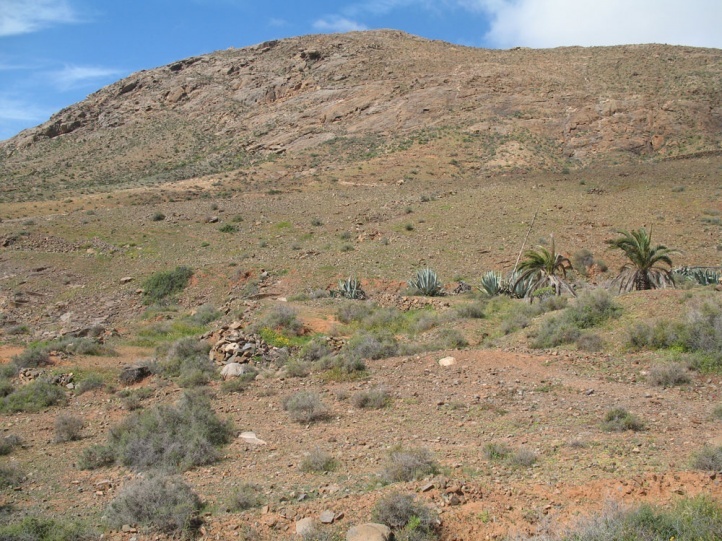 In Fuerteventura, it was found on rocky slopes in the mountains as well as in sandy terrain in the coastal area. 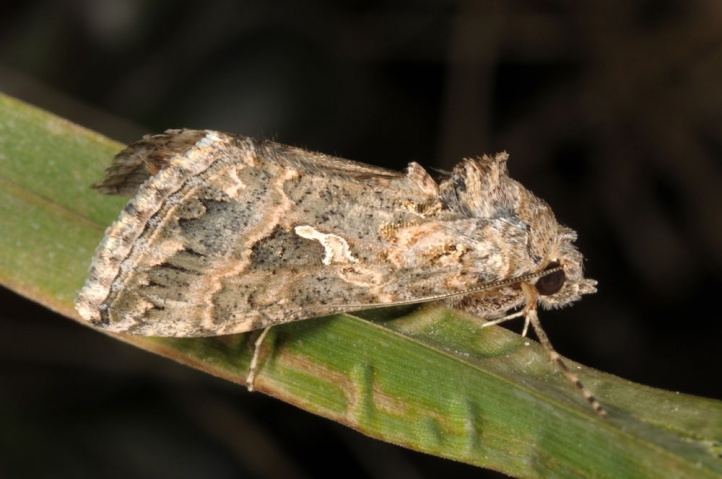 Trichoplusia ni has a continuous succession of generations in the south. 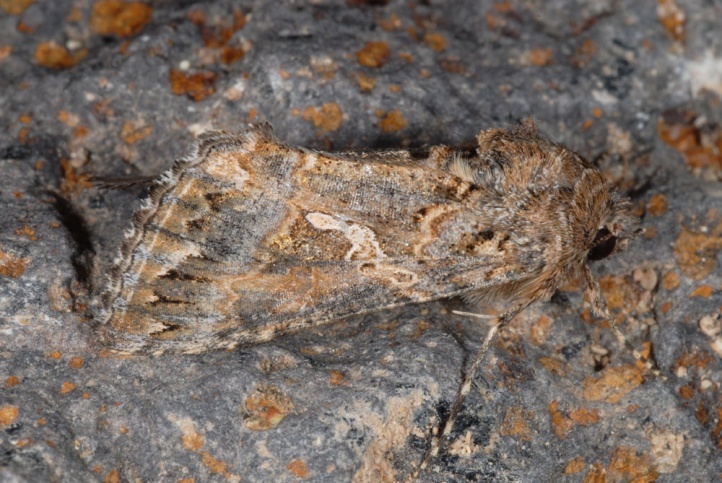 In Europe, it flies especially in the summer months and early autumn. 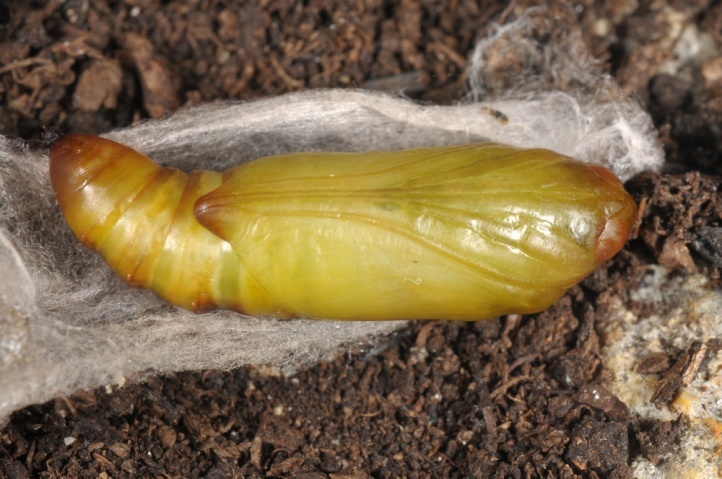 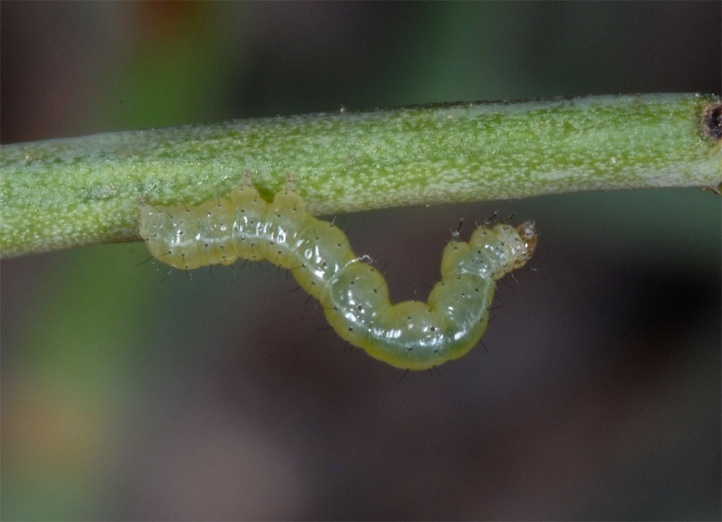 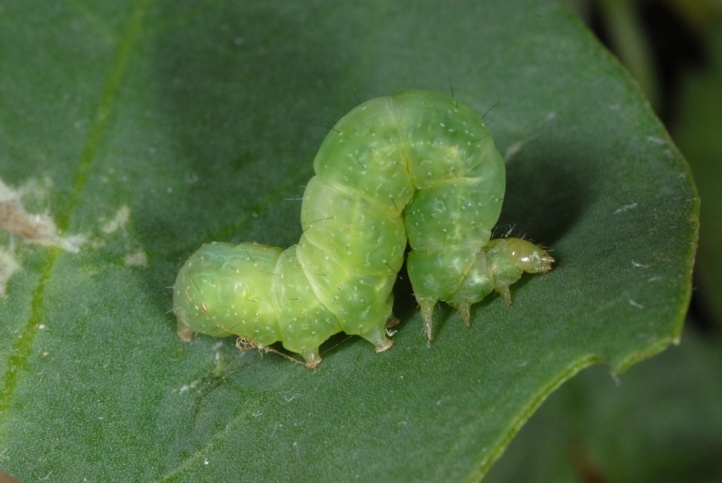 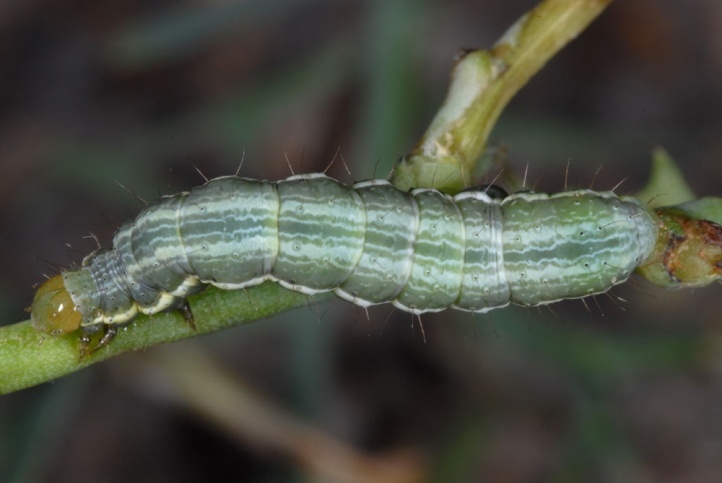 The caterpillar feeds especially in the summer the green cortical parenchyma of the often hard and especially in summer leaf- and flowerless branches of Launaea arborescens. 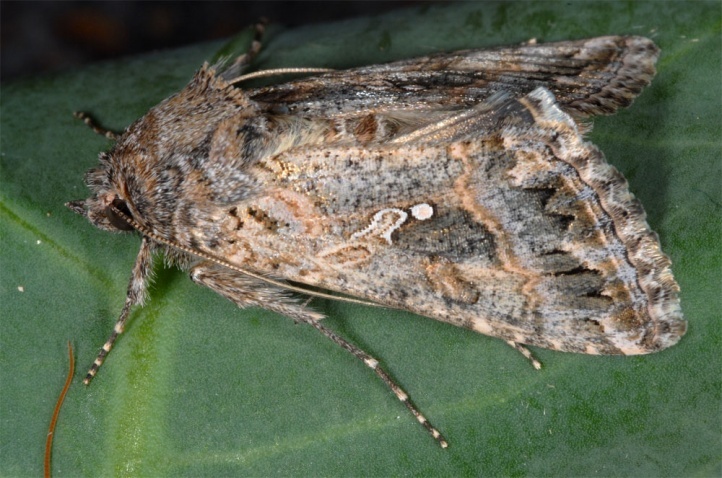 Trichoplusia ni is widespread in tropical and subtropical regions around the world. 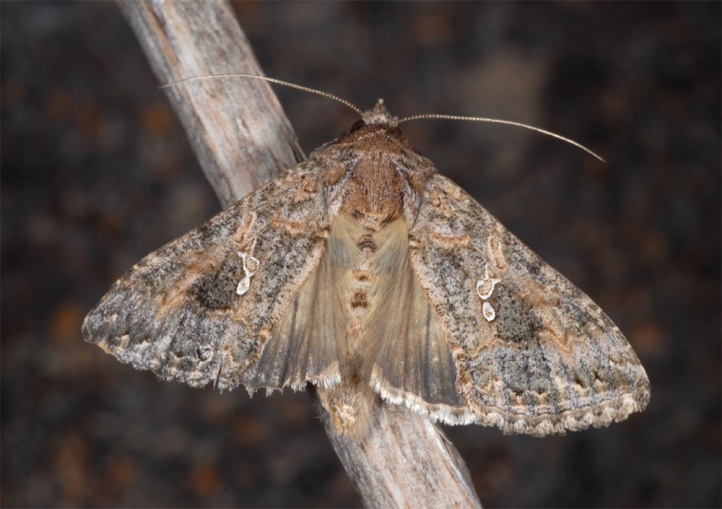 In Europe it is native only in the Mediterranean. 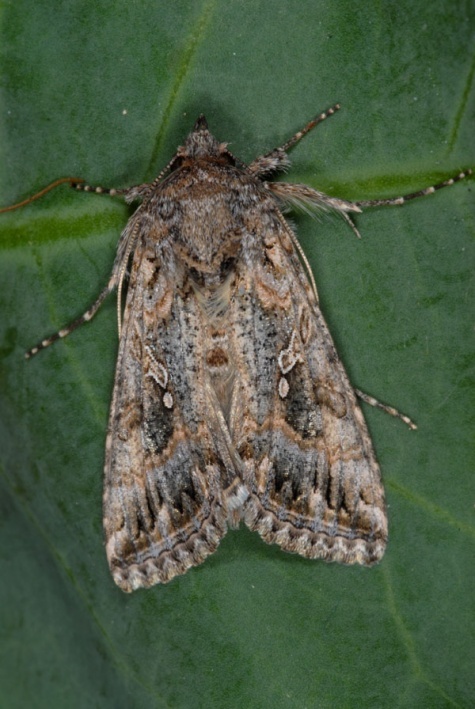 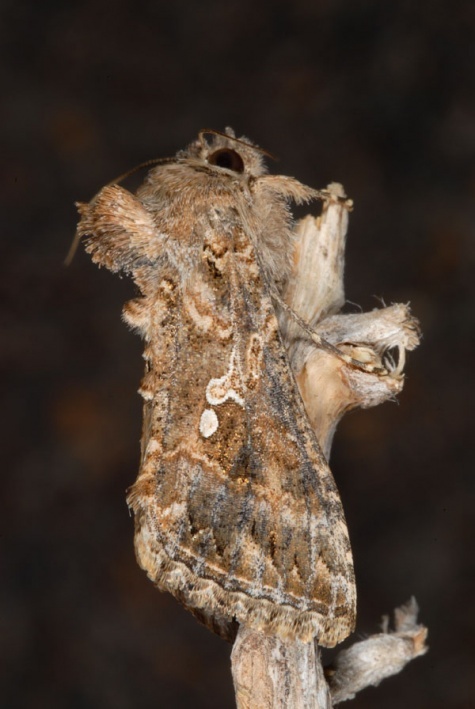 In addition, it migrates occasionally further north in the summer, but reaches Central and Northern Europe generally only in a few individuals.